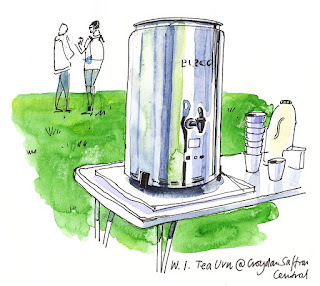 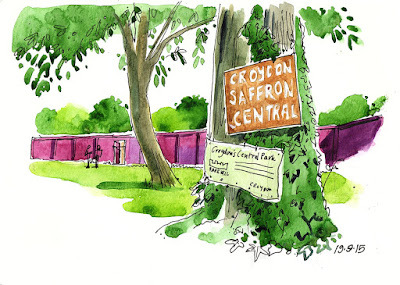 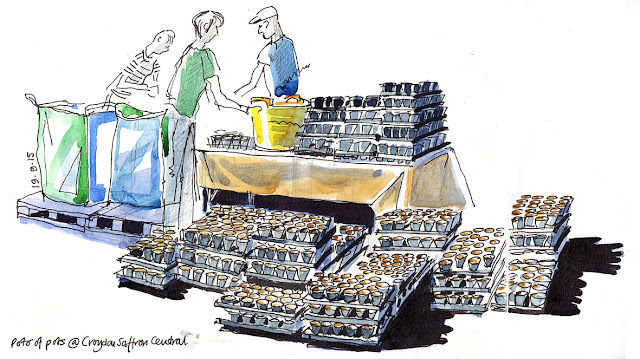 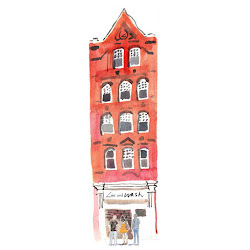 Sketching today at the pop-up saffron farm in Croydon. A small army of volunteers worked hard to pot up 21,00 crocus corms (bulbs). Of course, every army marches on it's stomach and the much needed tea and biscuits were supplied by the local branch of the WI.